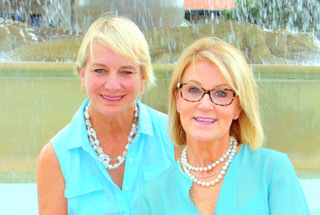 Michele and Lindsay have teamed up as The Team Segars-Viering, offering 25 years of combined real estate experience in the Jacksonville and Ponte Vedra Beach area. The mission of The Team Segars-Viering is to be the most successful real estate providers in Northeast Florida. We specialize in representing Buyers and Sellers in the purchase and or sale of real estate by making the transactions as convenient and stress free as possible. Expertise, integrity and professionalism is our goal. If you are looking for heart, drive, compassion and resilience then look no further because Michele and Lindsay meet these qualifications! Search throughout over 20,000 listings in Northeast Florida. Rentals, Condominiums and homes. Put in any address in the United States and instantly get 3 valuations! Call us with any questions!